Terry and Paul's unit purchase falls through. Max's bedsit is filled with car parts. He tells Shane nothing is going on. Max and Jim continue to bicker politely. Rachel's father, stepfather and mother all row. Daphne shouts at them and tells them they're going to listen to her. Rachel's mother and stepfather tells Daphne it's not her affair, but Daphne insists that they're all tearing Rachel apart. Rachel comes in and shouts that Daphne is the only one who is nice to her. Daphne says she's not there for a fight - but they have to sort things out and not fight amongst themselves. Rachel's father agrees - they must sort things out. He says maybe they should ask Rachel what she wants. DAPHNE: What do you want, Rachel? Danny and Scott are packing up food to go to the festival. But Danny says Richard can take his own(!) Maria and Richard are coming back tonight, apparently. Helen invites Danny to stay for dinner. Rachel's mother is intent on arguing about their marriage breakup, but in the end she thaws a bit. Everyone is speaking calmly now. 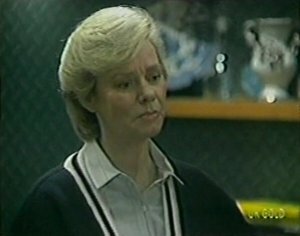 Rachel's mother asks who Rachel will live with when her father is away. She suggests she could stay with her and her stepfather as a stopgap - she doesn't want to lose Rachel altogether. Everyone agrees on that. Her mother and her stepfather depart, and everyone is happy. Daphne is pleased that everything has worked out. Rachel offers to cook for Daphne and her father, but her father wants to take her out to dinner. Rachel agrees, but after that, she's cooking from now on! Ian tells Daphne she's welcome to stay on for a while. Shane invites Daphne to go to the movies - at last he's found someone! Shane and Danny come to pick Daphne up to go to the movies. Danny and Rachel chat about divorced parents and their new boyfriends. Danny says that Maria's boyfriend is a creep. Rachel says that they all are at first. Rachel says Danny's lucky though, he's nearly grown up and can do what he likes. They chat about the future and Danny says he'd like to be an architect, or play in a band. Danny invites Rachel to the concert, but she has too much on at home - she's going out with her dad. 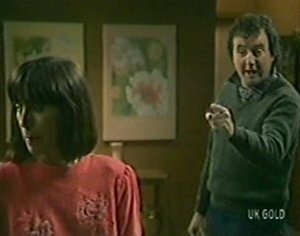 Maria and Richard come in to an empty house. They hug and have a pash. Just then there's a knock at the door and it's Max. 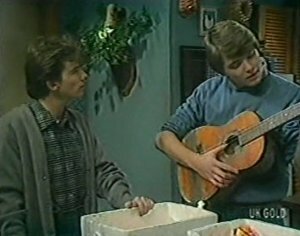 Maria invites Max in (Richard is just leaving). They talk about Danny and his recent antics. Maria says that Richard won't move in - she won't have another man in Max's house. If they do move in together, they'll live somewhere else. Maria thinks Danny wants Max to come home. Max isn't convinced. He says if Danny doesn't like Richard, there's nothing Max can do about it. Max says he's not responsible for the future or the past - he can only do the best he can right now. He hasn't told Danny about his true paternity, but he warns Maria that he can't keep protecting her forever. Daphne and Shane are back from the movies. They comment on how well Danny and Rachel were getting on - they do have a lot in common. They hang out among the car parts and chat about the happenings with Rachel and her parents. Shane's surprised that Rachel wanted to live with her father, not her mother. Daphne points out that Rachel gets on much better with her father. Anyway, Daphne thinks that kids need both their parents. Max comes in and hears this last bit. Max says he'll put the kettle on and make them a cuppa. Danny and Maria are discussing the rock concert tomrrow and generally catching up on their two days apart. Maria says she had a lovely time, saying she even went swimming in a river. Danny isn't very interested and goes off to his room. Rachel has waited up for Daphne, but her father has already gone to bed. She tells Daphne that she had a lovely evening having dinner with her father. Rachel thanks Daphne for her help and says she's had to put up with a lot from her and her family. Daphne says it's been worth it - and they will keep in touch. Rachel hugs her and says she's glad they met. Danny and Scott are ready to leave for the rock concert. Danny talks about Rachel and says that he likes her - she understand about divorces and stuff. 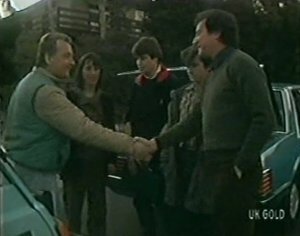 Richard turns up and tells them to load up their stuff while Danny puts the "L" plates on the car. Maria and Richard say goodbye. Maria hopes that the concert will change Richard's mind about him. Max turns up and says Richard must be mad to trust Danny with his car! Richard, Danny and Scott head off and Danny stutters the car round the cul-de-sac. When they've gone, Maria invites Max in for breakfast. Richard is teaching Danny to drive. Shane and Max are chatting. 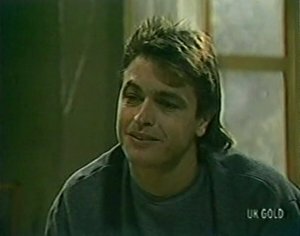 Max tells Shane that Richard seems decent enough, but he's worried about Danny. He's sad that he's missing out on Danny's life - he should be teaching him to drive, not Richard. He's sorry he was so hard on Danny in the past. Max says he's made up his mind now - he's going to be a proper father to Danny and make a real effort with him from now on. Danny is talking to a girl through the window of the car. 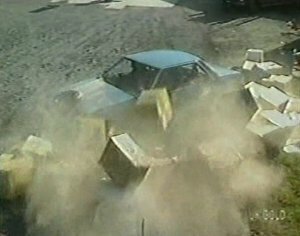 He loses control of the car and runs in to some boxes.